The aim of this projet is to incorporate quantum mechanical phenomena at the interface of two soft materials in application-scale computations. This is to be achieved using two multiscale approaches. In one approach the crack tip at the interface is modeled by quantum mechanics and the remainder of the domain using a constitutive model. The parameters of the constitutive model are based on periodic quantum mechanical computations of the two soft materials. However, the two most challenging issues for this model are (i) the manner in which to spatially couple the quantum mechanical model with the constitutive model and (ii) the adaptive procedure to spatially evolve the region with the quantum mechanical model. In the second approach, the interface at the two soft materials is modeled using a cohesive zone model, instead of using a quantum mechanical model. The constitutive parameters of this cohesive model are determined using appropriate quantum mechanical computations (similar to the bulk parameters of each soft material). The mechanical behaviour of the soft materials we are interested in are governed by Van der Waals (vdW) forces. We will not construct a new quantum mechanical model, but instead use a readily available many-body dispersion (MBD) approach . An illustration of the traction-separation relationship extracted from MBD simulations is depicted in Fig. 1. That may be embedded into a microscale model, such as the CZM in phase field framework [8, 2, 3]. This connection would allow more realistic simulations leading to accurate predictions of the failure properties of a large class of materials and microstructures, even when experimental data is not available. 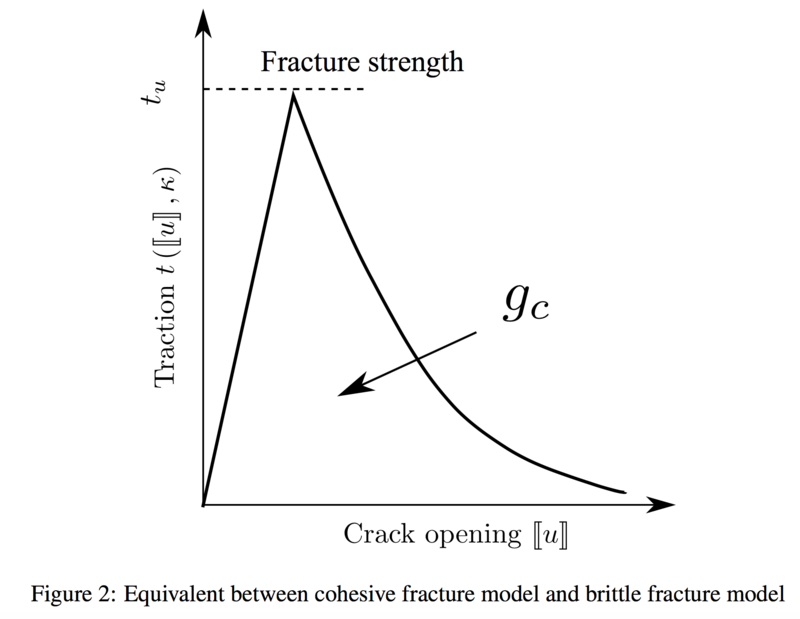 The fracture energy in the cohesive case is the energy required to the crack opening, whereas in the brittle case is to the creation of an internal discontinuity surface. 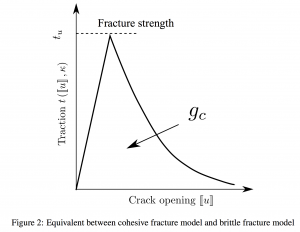 Hence, the brittle fracture model parameters can be also constructed from the traction-separation relationship, see Fig. 2. Therefore, the informed parameters are efficient as well to study fracture mechanic at microscale by using this kind of model, such as [7, 6, 5, 1] or multi-scale simulation . In the next step, we aim to develop a concurrent multiscale model, wherein the QM and continuum mechanic is totally coupled. That could allow predicting more accurately the failure properties of a large class of materials and microstructure. This work is supported by Computational Sciences Research Priority of the University of Luxembourg. T.T. Nguyen, J. Bolivar, J. Réthoré, M-C. Baietto, and M. Fregonese. A phase field method for modeling stress corrosion crack propagation in a nickel base alloy. International Journal of Solids and Structures (accepted), 2017. T.T. Nguyen and J. Réthoré. Phase field modelling of anisotropic crack propagation. 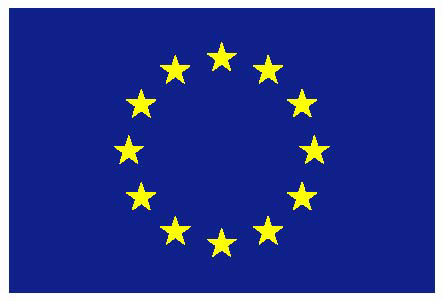 European Journal of Mechanics – A/Solids (accepted), 2017. T.T. Nguyen, J. Réthoré, J. Yvonnet, and M-C. Baietto. Multi-phase-field modeling of anisotropic crack propagation for polycrystalline materials. Computational Mechanics (Under review), 2017. T.T. Nguyen, J. Yvonnet, M. Bornert, and C. Chateau. Multiscale simulation of crack propagation in strongly heterogeneous material by using phase field method. submitted. T.T. Nguyen, J. Yvonnet, M. Bornert, and C. Chateau. Initiation and propagation of complex 3D networks of cracks in heterogeneous quasi-brittle materials: Direct comparison between in situ testing microCT experiments and phase field simulations. Journal of the Mechanics and Physics of Solids, 95:320 – 350, 2016. T.T. Nguyen, J. Yvonnet, M. Bornert, C. Chateau, K. Sab, R. Romani, and R. Le Roy. On the choice of parameters in the phase field method for simulating crack initiation with experimental validation. International Journal of Fracture, 197(2):213–226, 2016. T.T. Nguyen, J. Yvonnet, Q-Z. Zhu, M. Bornert, and C. Chateau. A phase field method to simulate crack nucleation and propagation in strongly heterogeneous materials from direct imaging of their microstructure. Engineering Fracture Mechanics, 139:18–39, 2015. T.T. Nguyen, J. Yvonnet, Q.-Z. Zhu, M. Bornert, and C. Chateau. A phase-field method for compu- tational modeling of interfacial damage interacting with crack propagation in realistic microstructures obtained by microtomography. Computer Methods in Applied Mechanics and Engineering, 312:567 – 595, 2016. A. Tkatchenko, A. Ambrosetti, and R.A. DiStasio. Interatomic methods for the dispersion energy derived from the adiabatic connection fluctuation-dissipation theorem. The Journal of chemical physics, 138(7):074106, 2013.